Wondering where to stay in Hanoi? The good news is, there are thousands of hotels and hostels Hanoi. The bad news? It’s so hard to choose! Here are our recommendations of the best places to stay in Hanoi for backpackers, flashpackers, mid-range, and luxury travelers. 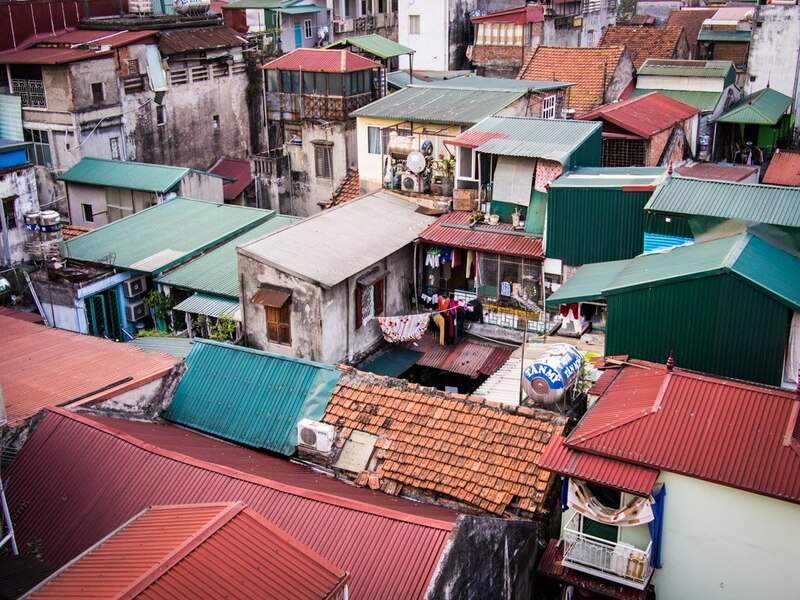 Hanoi is littered with guest houses, hostels, and hotels. It can take hours to filter through all the reviews, understand the various neighbourhoods, and figure out where you’ll get the best hotel bang for your buck. Here’s your shortcut to figuring out where to stay in Hanoi, Vietnam. We’ve been to Hanoi several times and stayed in many hotels, hostels, guest houses and neighbourhoods. We’ve spent hours sorting through online reviews comparing pictures and amenities at each hotel. Here are our top picks for the best place to stay in Hanoi for every budget. You’re welcome! These are our recommendations for the best hotels in Hanoi, Vietnam. This hostel mixes classic Vietnamese luxury with a hostel set-up. The beds are comfy with high-quality sheets and fluffy towels provided. There are two lockers per bed (one large under the bed and one small next to the bed) and free draught beer from 6-8pm! If you’re travelling alone, be aware that in the 6-bed female dorm some beds are right next to each other with no space in between; request a separate bed ahead of time. We stayed here and really liked it. Located on busy Hang Be street, this Hanoi Old Quarter hotel is set back from the street far enough to block much of the street noise. Ask for a room in the front section of the hotel without the elevator — it has been recently renovated. If you can handle the stairs, you’ll get a nicer, quieter room and better bathroom for the same price. The funky decor (think brightly coloured silk lanterns and murals on bedroom walls) at Hanoi La Selva sets it apart from the bulk of hotels in Hanoi. 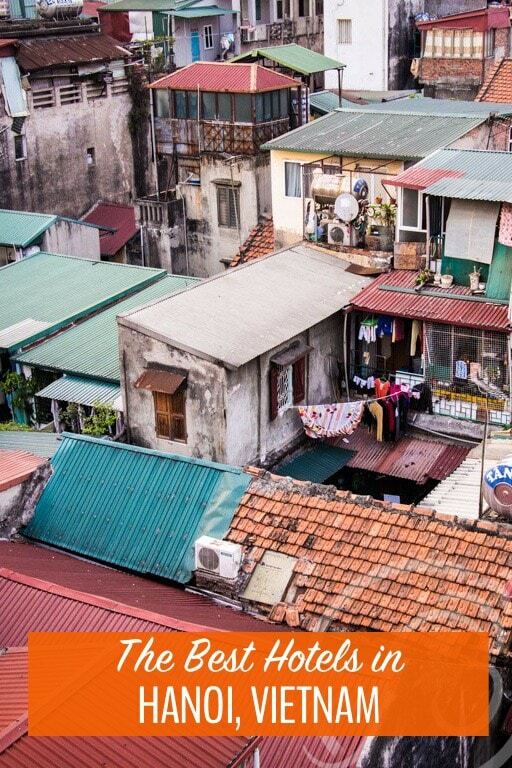 We love the location just outside the craziest part of Hanoi’s Old Quarter and a 2-minute walk from Hoan Kiem lake. Reviews indicate that the staff are exceptional, even for Hanoi where hotel staff are uniformly amazing. Book early, this place sells out quickly. This Hanoi boutique hotel is on a quieter side street in Hanoi’s Old Quarter. If you want to splash out on a few nights of comfort in Hanoi, the Ruby will provide it without breaking the bank. Pingback: Hanoi Vegetarian Food: The Complete Guide for Vegetarians Visiting Hanoi | My Five Acres. Travel. Adventure. Yoga.